Update: Earlier this morning, we received confirmation that the image below is indeed legit! The picture comes from a recently released Smash Bros. Ultimate guide in Japan. You can take a better look at the page in question below! Okay, folks. It should go without saying here, but take this info with a grain of salt. Anytime I see a blurry picture, I always question how legit its content is, but in this case it might actually be true. Earlier today, the following image appeared on r/amiibo, which apparently was found on an amiibo Discord server. 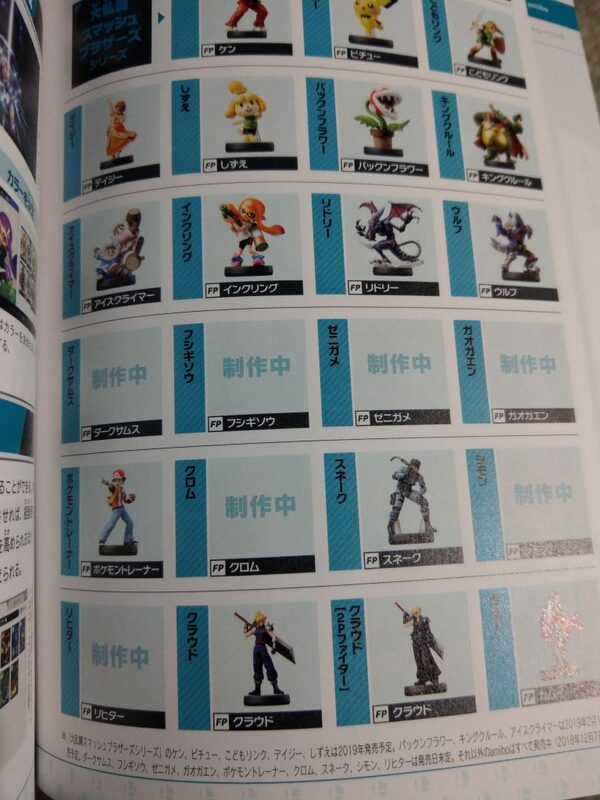 Both Snake and Pokémon Trainer amiibo are seen with other listings for amiibo like Dark Samus, Chrom, Simon, Richter, Ivysaur, and Squirtle surrounding them. 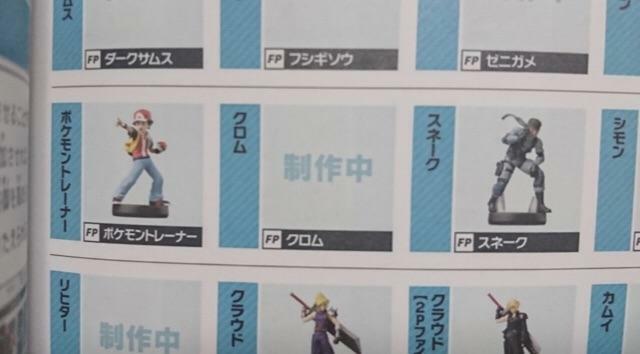 That means, if this is legit, we finally have confirmation that all members of the Pokémon Trio are getting the amiibo treatment! In order to test the validity of theses images, I loaded up Photoshop and put the official renders over the top of these new images. To my pleasant surprise, the amiibo in the image do not line up with official renders. That adds a little bit of validity to this leak! But, as always, don’t get too excited until they are officially announced! Stay tuned as more details come to light.